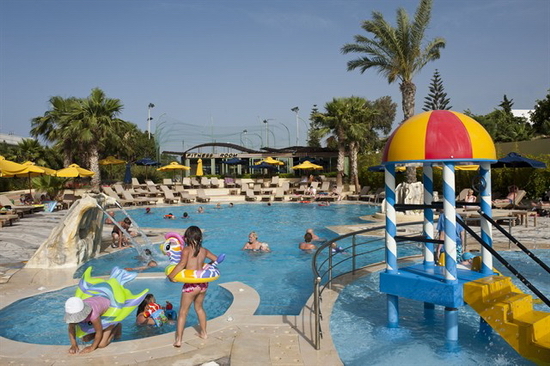 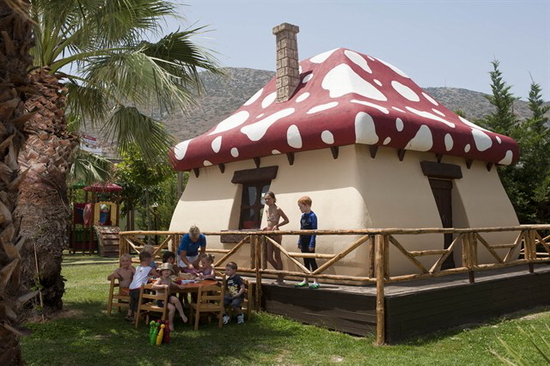 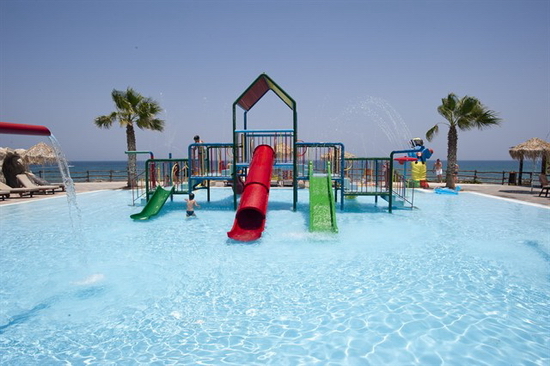 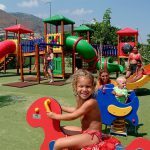 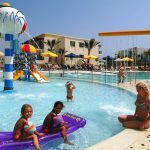 The stylish Star Beach Village Aparthotel offers an excellent holiday resort for the entire family and all age groups. 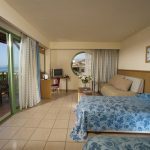 A variety of hotel facilities, the high standard of service and friendly staff, nice gardens and spectacular sea views ensure a happy stay. 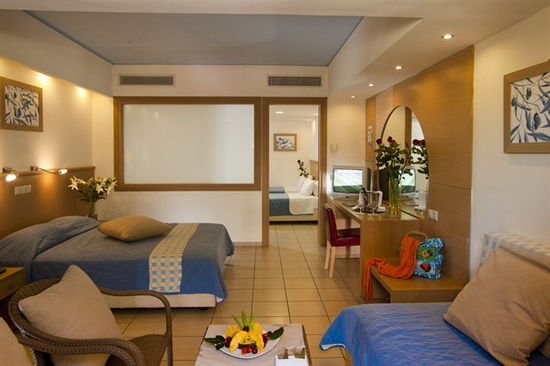 The elegant hotel rooms are very comfortable and well equipped with even the convenience of a little kitchen corner. 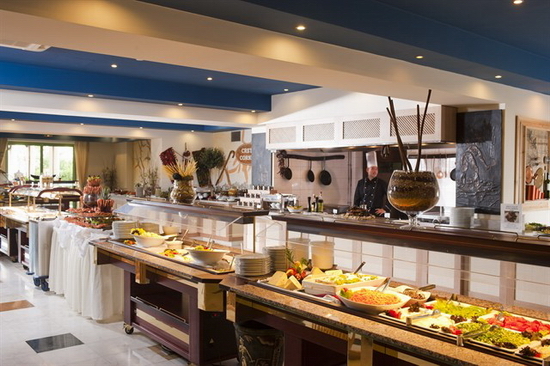 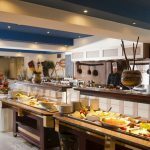 The tasteful meals at the hotel are offered in buffet-style and if you wish to dine out there are plenty of options around. 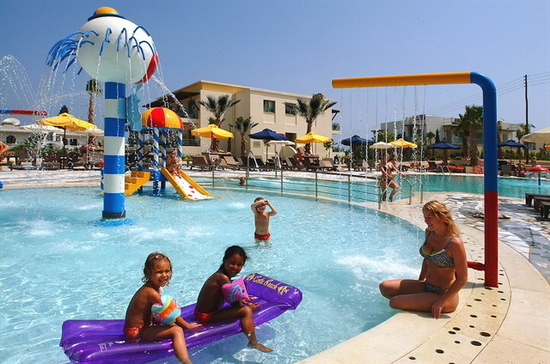 The Star Beach Village is located off the main road and just 50 meters from the seafront. 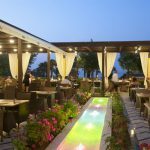 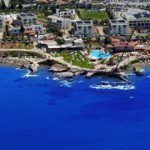 It only takes a 10-minute walk to reach the center of Hersonissos with plenty of little shops and restaurants. 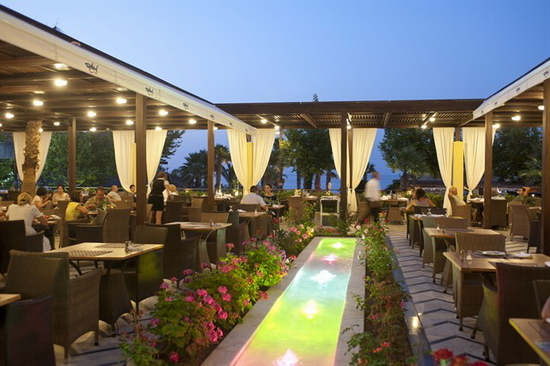 Visit the boulevard for a vivid nightlife! 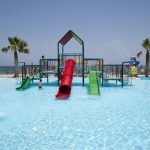 Most exciting and only across the road is the adventurous Star Beach Waterpark, a spacious pool complex with slides, lazy river rides and fun activities for each. 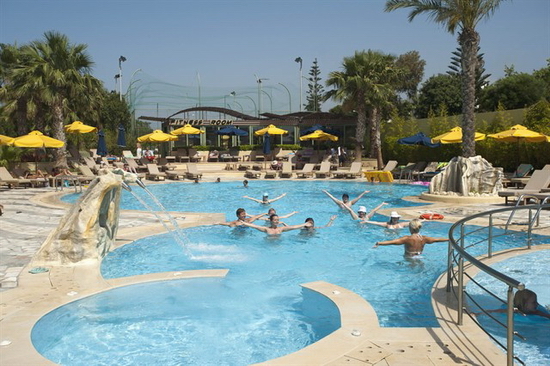 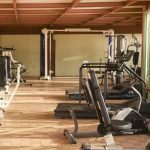 The hotel was built in 2005 and consists of eight 3-floor buildings (incl. 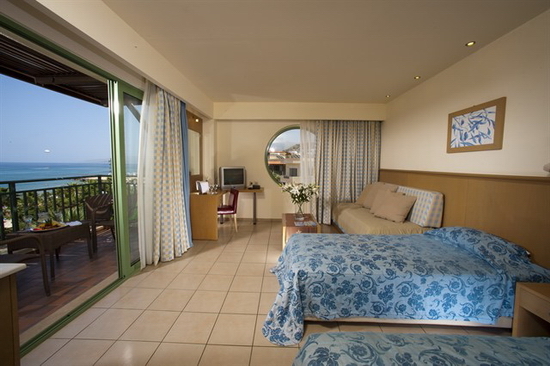 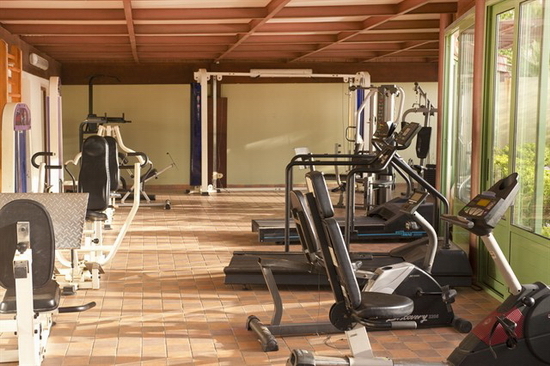 ground floor) with a total of 188 hotel rooms and suites.